This article first appeared in The Edge Financial Daily, on March 9, 2018. 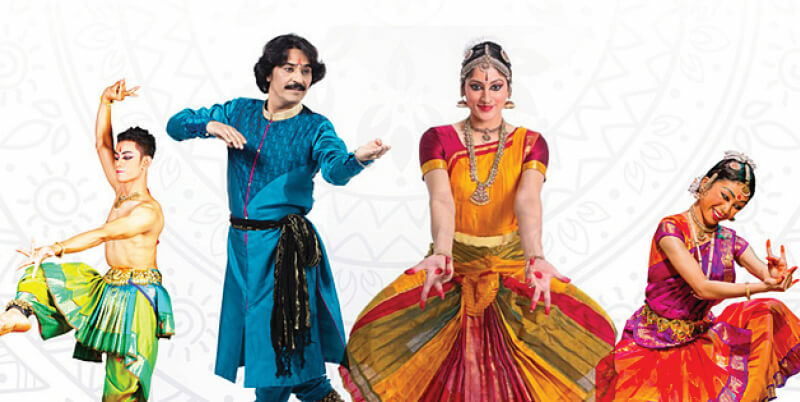 Be captivated by the beauty of traditional Indian dance at the Soorya India Festival. The programme features the talents of Bharanatyam dancer Dr Janaki Rengarajan and Kathak dancer Pandit Rajendra Gangani, both hailing from India. Joining them are Ng Xinying and Mohammad Khairi bin Mokthar, baratanatyam dancers from performing arts institution Aswara. The festival is held in support of the non-governmental organisation Cansurvive Centre Malaysia, with all proceeds being channelled towards community support services for cancer patients and their families. The show takes place at 7.30pm this Sunday, in the Shantanand Auditorium of the Temple of Fine Arts, Jalan Berhala, Brickfields, Kuala Lumpur. Admission is by donation, which can be made online at www.cansurvivefund.eventbrite.com.au. 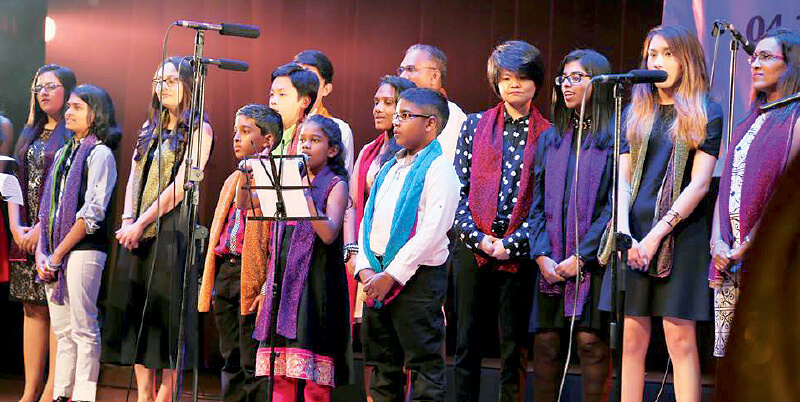 The Spiritual Music Night features a concert themed “Unity in Diversity”, where music and dance acts from various religious and spiritual communities share the stage. Revel in the harmonious beauty of the Islamic nasyid and Mormon tabernacle choral groups, the meditative tranquillity of the Sikh kirtans and Mahayana Buddhist chants, the lively hymns of the Hindus and the Orang Asli, and dance performances by the Temple of Fine Arts and Pure Life Society. The show takes place tomorrow at 7pm, at the Dewan Sivik MBPJ, Jalan Yong Shook Lin, Petaling Jaya, Selangor. Admission is free of charge upon pre-registration. For registration or enquiries, call (012) 2380 292. There’s nothing a true-blue Malaysian loves more than good food, so hop over to The Gastro Alley. 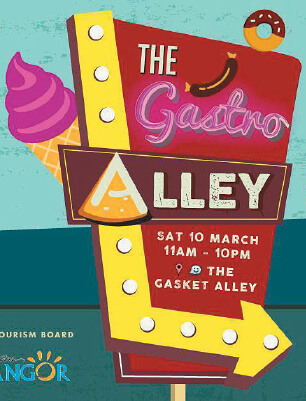 The Gastro Alley is a one-day takeover of The Gasket Alley with a team of food trucks for a spectacular food fiesta to satisfy all your guilty food cravings. Chow down on juicy barbecue from Mom’s BBQ KL, crispy nachos from Nachoslah, fluffy waffles from Waffles Project, and don’t miss out on everyone’s favourite ice-cream from Softsrve. The Gastro Alley takes place tomorrow from 11am to 10pm, at The Gasket Alley, Lot 15, Jalan 13/6, Section 13, Petaling Jaya, Selangor. For more information, call (03) 7955 9355. 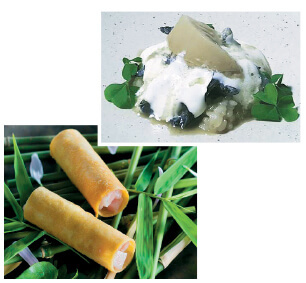 If you’re a fan of the fusion food trend, then this collaboration is for you. Japanese and Spanish fusion restaurant Babe joins hands with Bali-based Spanish fine dining restaurant this weekend to bring you their exclusive Swig and Nibble menu. Pamper your tastebuds with the adventurous flavours of 20 meticulously created canapés, and top off the gastronomic experience with paired wines from guest bartender Karl Too from Omakase + Appreciate. The collaboration takes place tonight at 7.30pm and tomorrow at 6.30pm at Babe, on the 11th floor of Work @ Clearwater, Changkat Semantan, Damansara Heights, Kuala Lumpur. The dinner is priced at RM250 per person. For reservations or more information, visit www.babe.com.my. The Women’s Aid Organisation presents Invisible Women, an art exhibition in conjunction with International Women’s Day. The exhibition unveils the reality of gender discrimination and misogyny in the workplace through art pieces depicting the problems women face in the workforce. Taking inspiration from the real-life experiences of housewives and pregnant working women, the exhibition aims to raise awareness for women’s rights as human rights, speaking out against gender inequality in hopes for a better future. Invisible Women runs until Mar 18, at the White Box in Publika Shopping Gallery, Jalan Dutamas 1, Solaris Dutamas, Kuala Lumpur. For more information, visit www.invisiblewomen.com.my. 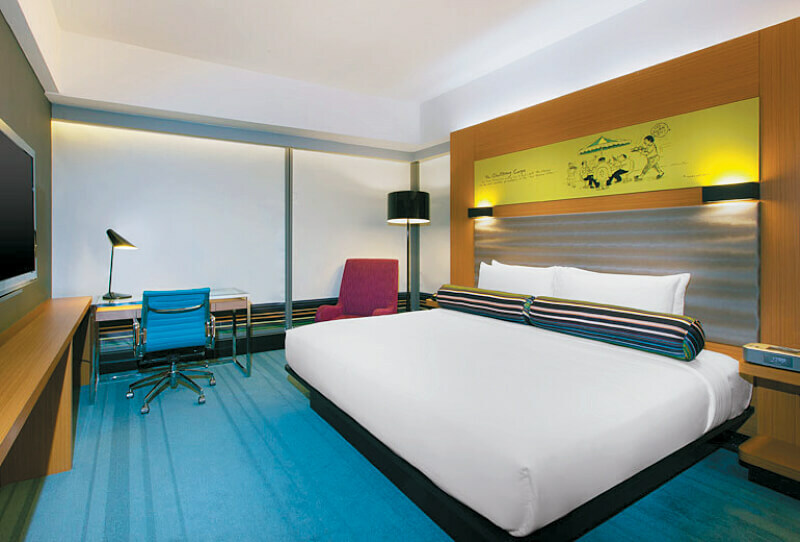 Look no further than Aloft Kuala Lumpur Sentral for the perfect hassle-free weekend getaway. Stay in a Breezy Suite from RM600 per room per night and be rewarded with a complimentary adjacent Urban Room. Each room comes with a complimentary minibar, buffet breakfast for two, and a complimentary parking spot. The Suite Up Your Weekend staycation promotion is available for stays on Fridays, Saturdays and Sundays only, and runs until Dec 31. Aloft is directly connected to Kuala Lumpur Sentral and is located on Jalan Stesen Sentral,Kuala Lumpur. For bookings or more information, visit www.aloftkualalumpursentral.com. The Grand Millenium Hotel invites you to spend your Easter holidays with your family. Book your festive getaway locally, or go abroad to Singapore, Thailand, Indonesia, or the Philippines, and enjoy up to 30% off on your bill. The deal also includes food and beverage discounts of up to 20%, free breakfast for children aged below 12, and complimentary parking. The Grand Millenium Hotel KL is located in the heart of the city’s shopping district, on Jalan Bukit Bintang, Bukit Bintang. Act fast, as the booking period ends on Mar 14 for stays until May 31. The deal is available exclusively online, visit www.millenniumhotels.com for bookings or more information. 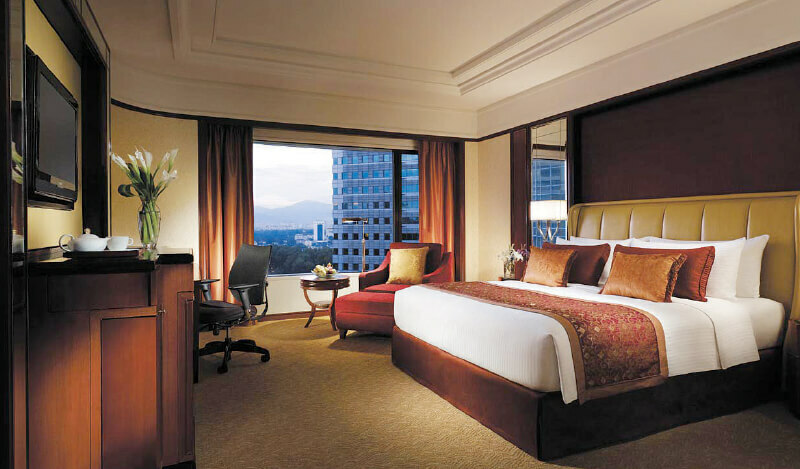 Get more out of your weekend for less at Shangri-La KL. 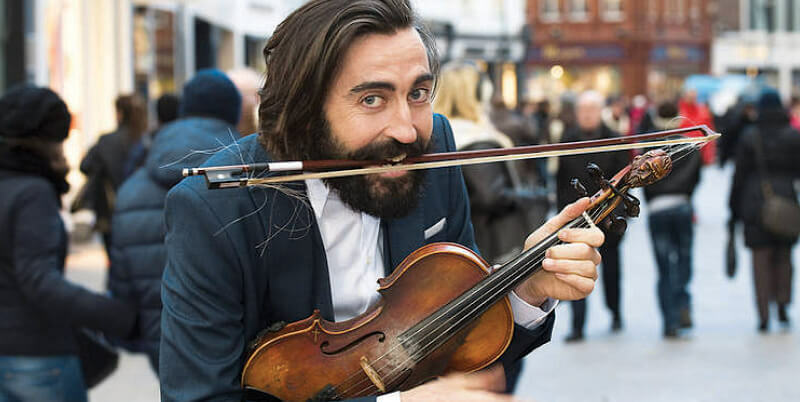 Guests who book three consecutive nights at any room type at the hotel are entitled to one complimentary night, meaning you only have to pay for two nights out of three. What’s more, you get complimentary access to the hotel’s fitness centre, which includes a gym, a sauna, a swimming pool and a sauna. Shangri-La KL is located on Jalan Sultan Ismail, Bukit Bintang, Kuala Lumpur. The promotion is available for booking online and via telephone, visit www.shangri-la.com or call 1300 88 7388 for reservations or more details. 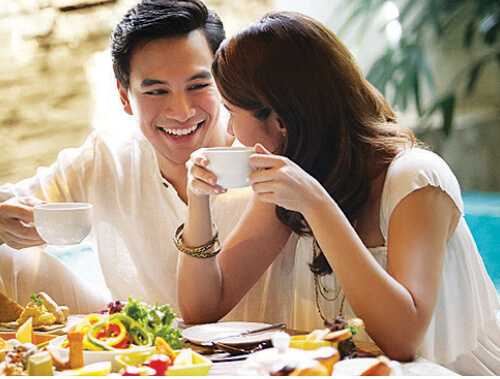 Treat your significant other to some quality one-on-one time this weekend with the Couple’s Escapade deal at Sunway Hotels. Book a stay for just one night and enjoy breakfast on the house for two, as well as a complimentary massage for two at the Mandara Spa. The deal is available for multiple room types at the Sunway Resort Hotel & Spa, Sunway Clio Hotel, as well as the newly refurbished Sunway Pyramid Hotel. For bookings or more details on room types and pricings, visit www.sunwayhotels.com.